Annapurna - At Glance, Trekking through very popular Gurung Village of Ghandruk situated towards the northwest of Pokhara It sits at an altitude of 2012 meters above sea level and is inhabited of Gurungs, one of the many ethnic groups of Nepal, with their own religion and culture. Ghandruk’s huge Gurung Valley, is the second largest Gurung village settlement in Nepal and headquarters of the Annapurna Conservation Project. 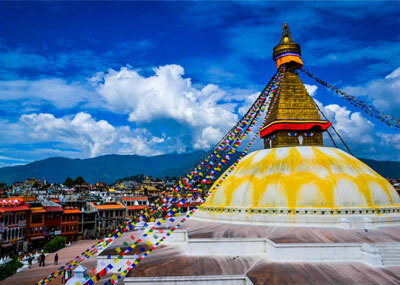 Ghandruk offers excellent views of Annapurna South, Machhapuchchhre and Himalchuli. Most of the inhabitants of this village were heavily dependent upon employment in the British Army till the second half of the 20th century. In Ghandruk you can see the Traditional Gurung Museum which displays the local traditional clothes and equipment used by the Gurung people. Day 02: Kathamndu – Sight seeing. Day 03: Kathamndu – Pokhara. Day 04: Pokhara – Nayapul – Ghandruk. Day 05: Ghandruk – Pothana. Day 06: Pothana – Dhampush Phedi – Pokhara. Day 07: Pokhara – Sight seeing. Day 08: Pokhara – Kathamndu. Day 09: Kathmandu – Sight seeing. Porters (One porter for 2 trekkers and approx. 10 – 12 kg per trekker).